Property Size 1,450 sq. ft.
Our upper level two bedroom, two bath condo with a den in building five is located in the Master Planned Community of Vistoso Resort Casitas in Oro Valley. Our Vistoso condo has everything you need and then some! This is your opportunity to experience the comfort and tranquility of our beautiful city. 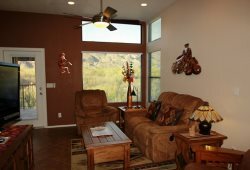 The patio, living room and bedrooms offer great mountain views. The community just a few short miles away from some of Tucson's finest attractions and fabulous restaurants. Start your evening at Epazote Kitchen & Cocktails, located in the Hilton at the El Conquistador Resort. Sullivan's Steak House, Blanco, Firebirds and Wildflower are just a few great restaurants in and around Oro Valley and Tucson. 2 miles away: The Stone Canyon Club. 4 miles away: The Views Golf Club. 5 miles away: Two courses at El Conquistador Country Club. 6 miles away: Oro Valley Country Club. 7 miles away: 9-hole resort course at El Conquistador. Be sure you do not miss the Catalina State Park and The Biosphere 2 when you are joining us in Tucson! 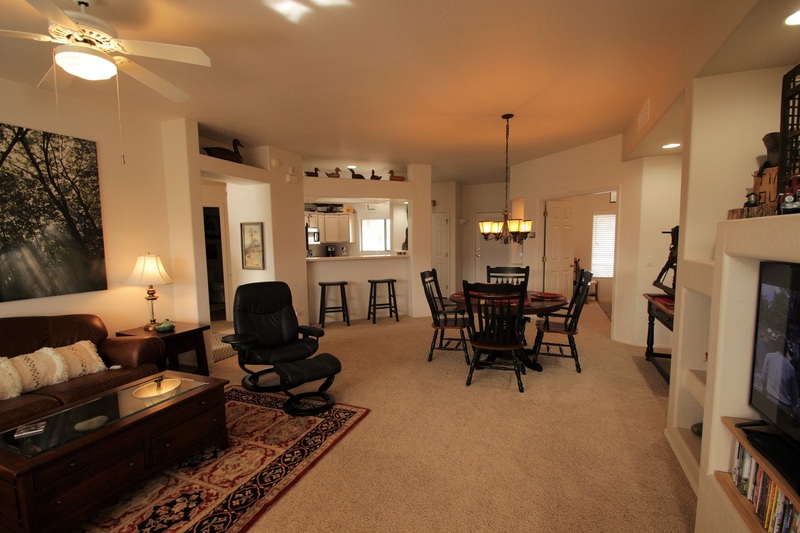 But you will want to get back to the condo in time to relax on your patio or sit poolside with friends.